One of the CarcF members found out about Russian promo tiles. For nearly a week now we have been discussing the topic and have been trying to find out more about these tiles. So far we found out that these were presents for the participants of the Russian national Carcassonne league 2013, 2014 and also for 2015. If you scroll a bit down, here you can find pictures of them. 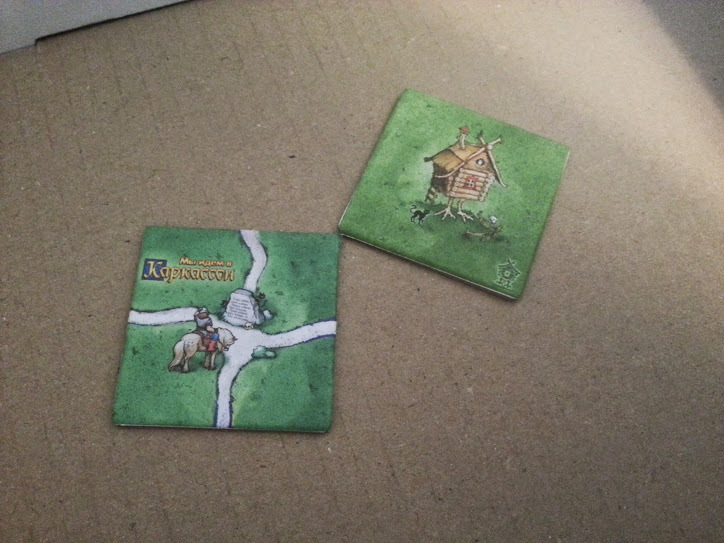 And here is a picture of the printed tiles. But so far we couldn't find any seller. Nor we've found anyone that would sell them and neither we have found pictures from Carcassonne fans, that own these tiles. To me it seems a bit strange. Maybe you know more about these tiles, or one of you is at least better in reading Russian than we are. Russian is my native language. What do you want to know? In 2013 these tiles were given to every participant of the local tournament. In 2015 these tiles are prizes for the first 6 places of the tournament. Nowhere is mentioned about selling, so I assume they can't be obtained other way. By the way, they play by 3 players at the table, except the final stage (QF, SF and F). I'm interested, but I don't quite know what Hans im Glück's relationship is with the Russian distributor of the game, or even if there is a legal relationship there. No offence to Russians, but Russia has not always been the best upholder of copyright permissions. If these tiles were allowed, then I'd definitely be interested in seeing a wider distribution of them, even if they are a bit silly in theme (which they appear to be). 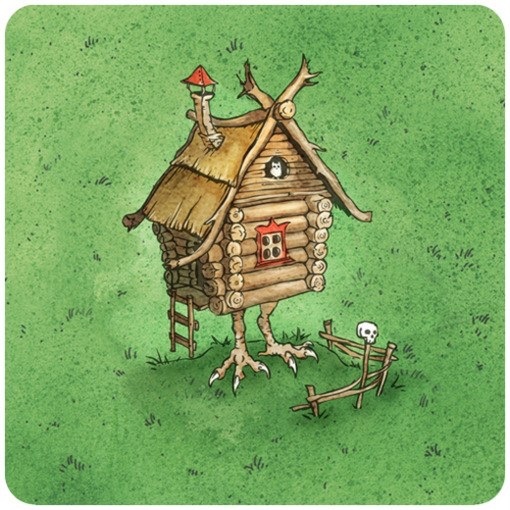 About the rules, I was a bit late this morning and just had a brief discussion with my gf on this topic but she said that the house of Baba Yaga is like the opposite of a monastery, you get points for empty spaces around it. wow! so this tiles are ufficial? About Baba Yaga tile: interesting that in 2013 there were different rules for this tile: you could receive 0-7 points, not 8, so this explicitly meant that tile itself didn't give points. In 2015 it is changed and tile itself now give 1 point. I'll rework my upload this evening. If you go to the left - you'll find death. 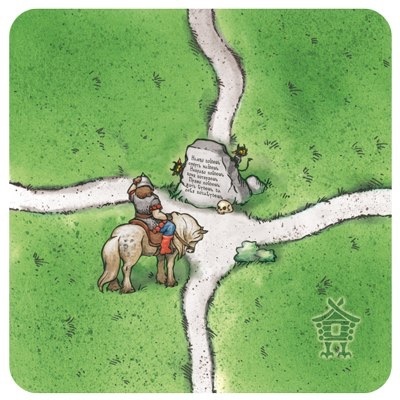 If you go to the right - you'll loose your horse. If you go straight - you'll live, but will forget who you are [or forget yourself]. Feel free to make it "more English"
Technically the Hero tile isn't right, but I feel the logo makes it more fun. These look great! Did you also print the "Hero" tile with the watermark? I like these a lot. Not entirely sure that I'd play with them much but I think they'd make great souvenirs and I like the idea behind Baba Yaga's house being kind of like a reverse-cloister. Merit to Decar not only for discovering that these exist, tracking down the artwork, making the tiles and translating the rules, but also for trying to keep it a secret so that these could be given out as surprise gifts to CarcC members. You sir, are a hero!